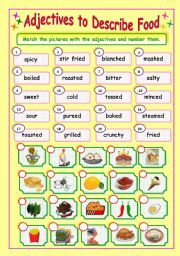 Third Worksheet in a set of three on Adjectives to Describe Food. Students match the adjectives with the right picture and number them. Thanks to Jecika again for the beautiful template. 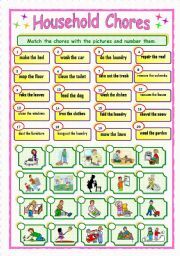 Second worksheet in a set of three on Household Chores. This is the pictionary. Thanks to CHARMED ONE for the template. 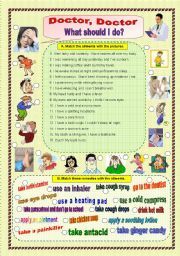 A simple worksheet to identify common ailments and match them with their remedies. An answer key is included. I hope you find it useful. First worksheet in a set of three on Containers and Quantities. This is the Pictionary. A worksheet to identify and name the places in a community. 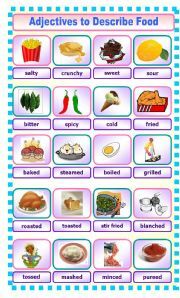 This printable is a set of 18 flashcards to introduce adjectives to describe food to young learners. Print, cut and laminate. Many thanks to Jecika for the template. Hope it´s useful. Third Worksheet in a set of three on Containers and Quantities. 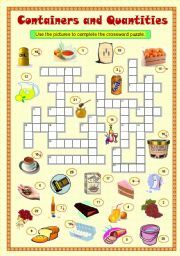 Students use the pictures to complete the crossword puzzle. An answer key is included. 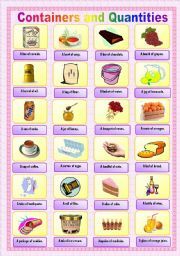 A simple grammar guide, a picture based exercise and lots of situations for students to speculate and practice using past modals. There are 27 slides in all! A simple power point to understand and practice Indirect Questions. Hope it´s useful. A fun way to introduce fruits to young learners. There are 14 riddles in all. Answers included with a click of the mouse. 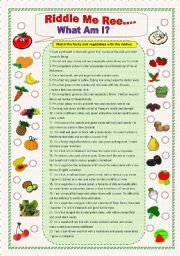 A warm up activity or game to introduce veggies to young learners. Answers included with a click of the mouse. Sorry, I couldn´t upload this PowerPoint along with the Fruit Riddles owing to the size. 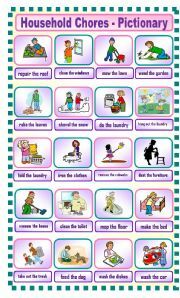 A simple but complete PowerPoint grammar guide on the Simple Past Tense form of the verb ´to be´. Hope you like it. :-)There are 14 slides in all! The preview doesn´t show all the slides and some of them are a bit disorderly. However, they´re perfect when downloaded. A warm up activity or game to introduce animals to young learners. There are 12 riddles in all. Answers included with a click of the mouse. A fun way to introduce birds to young learners. There are 12 riddles in all. Answers included with a click of the mouse.